Wondering where to find Vancouver’s best dim sum, Cantonese-style restaurant or five-spice beef wrapped in a Chinese pancake? Your search may be over. The winners of the 2015 Chinese Restaurant Awards have been announced. A total of 33,759 diners cast their ballots over the month-long voting period for hundreds of Metro Vancouver restaurants. The result is an incredible cheat sheet for foodies looking to explore the city’s Chinese cuisine scene – from classic restaurants to new up-and-comers. cafe (Deer Garden Signatures) to best dim sum (Kirin Restaurants) and best Cantonese restaurant (Bamboo Grove). 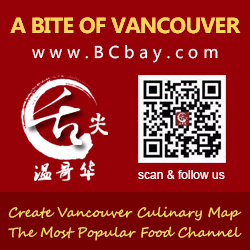 This is the seventh instalment of the Chinese Restaurant Awards, which aims to help Vancouver diners discover the amazing – and sometimes overlooked – culinary scene in their own backyard. No less an authority than the New York Times declared that the city of Richmond has “the best Chinese food outside of China.” Indeed, along Richmond’s Alexandra Road (a.k.a Food Street) hundreds of restaurants representing cuisine from all parts of China jam the space of just a few blocks. The People’s Choice Awards are followed on April 15 by the Critics’ Choice Awards, where the pros weigh in on the best Chinese dishes in the city, and the Food Bloggers’ Choice Awards, where local bloggers make their picks.